IPC-1, that’s the catalog number of the release that started it all: Fantômas’ self-titled release. Greg Werckman, former Alternative Tentacles’ Head Honcho and Mike Patton’s manager, along with Mike Patton (Faith No More, Tomahawk) had just come off the heels of the wild ride that was Mr. Bungle’s California and were looking for a label home for two new Patton projects: a “supergroup” featuring Patton, the Melvins’ Buzz Osborne, Slayer’s Dave Lombardo and Mr. Bungle’s Trevor Dunn as well as Maldoror, a release featuring Japanese noise heavyweight Masami Akita (Merzbow) and Patton. 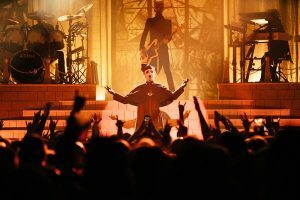 With “Dance Macabre” becoming the band’s third #1 single at Rock Radio, GRAMMY Award-winning artist Ghost announces a six-week North American headline tour that will see the Swedish rock band’s elaborate rock theatre presentation metamorphose into a full-on arena production. 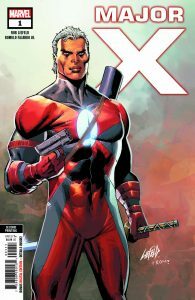 Industry great Rob Liefeld holds a significant place in Marvel history thanks to his creations of iconic X-Men characters like Cable and Deadpool – and in his upcoming new series MAJOR X, Liefeld creates his first new Marvel character in three decades, introducing a new force into the X-Men universe! 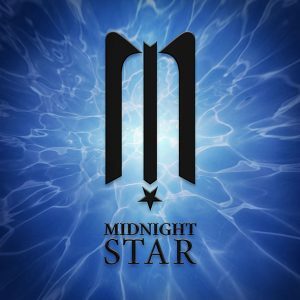 Grammy Award-winning and multi-platinum recording artist, songwriter, composer, poet and visual artist Serj Tankian today released the soundtrack to Midnight Star, via his own label Serjical Strike Records. The mobile sci-fi shooter game was originally released in February of 2015 by Industrial Toys, whose chief designer Alex Seropian also helped to craft the famed Halo video game franchise. 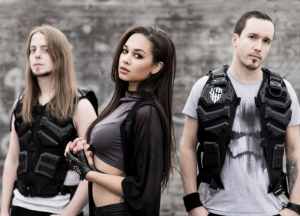 RAGE OF LIGHT Release Official Video For “Battlefront”! Switzerland’s rising stars RAGE OF LIGHT just unleashed a musical monster! 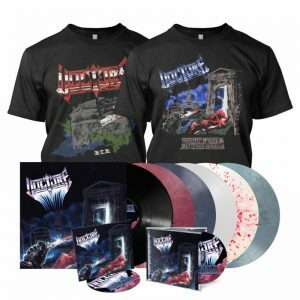 Their mix of sharp riffs, electronic beats, melody and screaming violence breaks down to the long awaited debut album Imploder, which is out now and available everywhere! 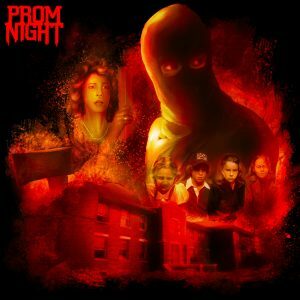 Perseverance Records presents the long awaited official release of the 1980 cult classic Prom Night Original Motion Picture Soundtrack. Perseverance worked closely with Carl Zittrer and Paul Zaza to locate and unearth the original masters and all music recorded for the film including unreleased disco songs and score not used in the final production, never heard before anywhere. Monochromatic harbingers of hell BELZEBUBS have released the new single from their eagerly awaited Century Media album Pantheon of the Nightside Gods, out on April 26th. 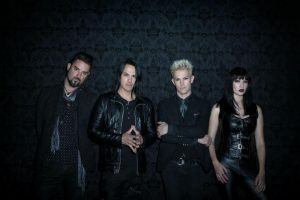 Accompanied by a video edit, “Cathedrals of Mourning” provides a foretaste of the band’s new progressive meloblack sound, that’d make even the Antichrist himself tremble with anticipation. 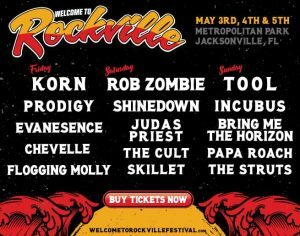 The track features guest performances by Desibelius (keyboards) and Skvllcraft (backing vocals), who also appears in the music video. 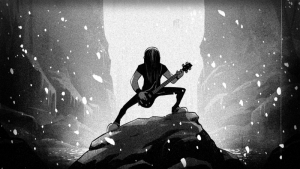 LA hard rock band 9Electric releases Megalith, their new album out now via Pavement Entertainment. Megalith features 12 tracks that are available to buy or stream on iTunes, Spotify, and Amazon. 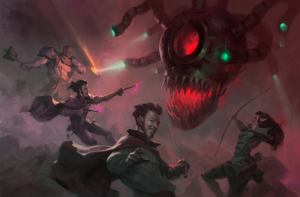 Acquisitions Incorporated, the official third-party Dungeons & Dragons sourcebook fromPenny Arcade and Wizards of the Coast, brings hilarious fantasy antics straight to players’ homes June 18. 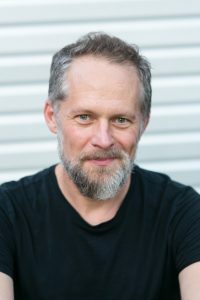 Charles Cody “Chuck” Huber (born May 8, 1971) is an American voice actor, ADR director and ADR script writer primarily known for his work for Funimation and OkraTron 5000. He has provided numerous voices for Japanese anime series and video games. 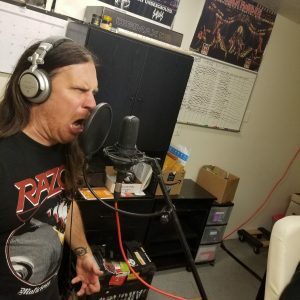 He is best known for his anime dub roles of Hiei from Yu Yu Hakusho, Dr. Franken Stein from Soul Eater, and Android 17 and Pilaf from Dragon Ball Z.
Gore Metal maniacs EXHUMED are currently in-studio recording their 7th full-length album and follow up to 2016’s Death Revenge. The currently untitled album is being recorded at the band’s home-built studio Darker Corners, a first in EXHUMED’s legendary career. The album is the first to feature new guitarist Sebastian Phillips (Noisem), is being produced by EXHUMED and Alejandro Corredor (Brujeria, Nausea) and will mixed & mastered by Joel Grind (Toxic Holocaust). The new album is expected to be released later this year. Stay tuned for more information in the near future.